We've eventually move most/all of the old issues and archives as well. 138 "*" months in a row - longest-running online free Retrogaming newsletter ever! Bryan Roppolo - "TI-99/4A arcade game reviews"
Alan Hewston - Assistant Editor, Web Manager "Many Faces of . . . reviews" surveys & more. Tom Zjaba - Founder of "Retrogaming Times", MAME Reviews, "Dr. Sane", & more. Scott Jacobi - Past Editor, "Nintendo Realm" & "Syntax Era" Classic gaming magazine reviews. Adam King - Past Editor, "Commercial Vault", "8-Bit Face-Off", "Stardate 7800" & more. David Lundin Jr. - "Tengen Reviews", "NES'cade" & more. Jonathan Davidson - "Retrogaming on Modern Hardware"
Donald Lee - "Apple ][ Incider". Craig Morris - "Mastering Sega"
Andrew "Tonks" Tonkin - "Vic 20 Reviews", "Collecting in Australia" & more. Mark Sabbatini - "Many Faces of the Radio Shack Color Computer" & "The Thrill of Defeat". Nathan Kozlowski - "ColecoNation" & more. Tim Roach - Graphics and our RTM logo designer. "*" 138 months counting both the ”RTM” & ”Retrogaming Times” created by Tom Zjaba, of Tomorrow's Heroes. 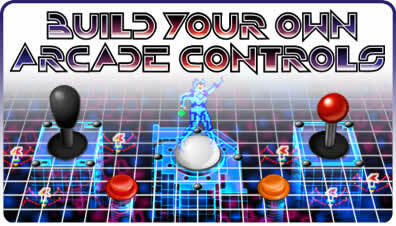 Thanks also to AtariAge.com Arcadecontrols.com & VGEvo who announce our magazine every month.